As yoga teachers, we are constantly working on finding a balance between practicing and teaching. Although we are fortunate enough to make a living out of a practice that we are so passionate about, there are times where we may lose connection to ourselves as a student. On this ongoing journey, its important for us to take a step back from teaching and, once again, become the student; not only to connect to and learn more about the practice, but to connect to ourselves too! 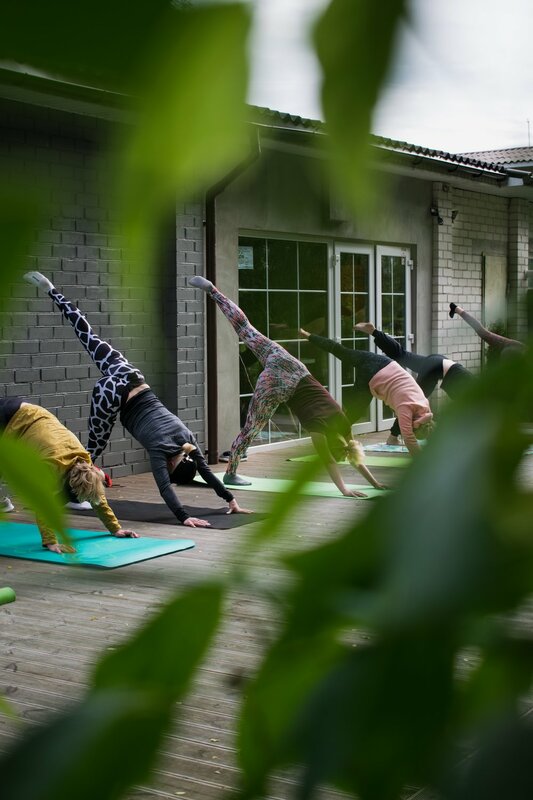 What better way to reconnect than with a Yoga Retreat, designed for yoga teachers! Between teaching and traveling to classes, it seems as though time is running out for your self-practice. And in other cases, after teaching a few yoga classes, the last thing you feel like is getting back into the studio! One of the core values of a yoga teacher is to have a strong self-practice and to continue learning. By going on a yoga retreat, you eliminate the distractions of your teaching schedule and other things on your to-do list so that you are able to prioritise your practice. By freeing yourself of that responsibility of holding that space for others, you can give yourself permission to enjoy your practice. Each yoga instructor is unique; in their instructions, adjustments and energy. By practicing with a different teacher, in a new space, you may find that you become aware of things you might not have noticed before. Whether it is a different way of instructing a pose, a habit you may have, a new adjustment or simply something that was said - these experiences help us learn. By engaging in the practice itself, we can put ourselves in the position of the student. Then, when you return to your role as teacher you may have more insight into what your students are feeling, experience, or maybe what they are needing during that time of their practice. There is something so empowering about being surrounded by like-minded beings who share the same passion as you. A retreat provides you with the opportunity to escape the demands of reality and place yourself in a welcoming and uplifting environment. Between the yoga classes and other retreat activities, there are opportunities to discuss and learn from your fellow-retreaters and teachers, as well as to dedicate some down-time to yourself. Its important to find and build a community of yoga teachers where you can always have that friendly and welcoming environment to turn to! As with most yoga retreats, the opportunity to connect with nature and explore a new surrounding brings a sense of release and relaxation back into your life. A retreat takes away any expectations of being a "tourist" as well as removes the stress of planning meals and itineraries. All you have to do is show up! It is a wonderful feeling to know that the only thing you need to focus your energy on is YOU and your practice. By allowing yourself to move into a new space and scene, you initiate that journey of growth where you can completely invest all of your time and energy into the practice. It can almost be guaranteed that you will come back feeling revitalised and restored. With the knowledge you have learned, new experiences, conscious connections and relaxation time, you will return to reality with a fire in your soul. As yoga teachers, the energy we carry and how we hold the space in our classes has the biggest influence on our students. When you are in a relaxed and positive space, that energy comes out through your teaching. Instead of feeling as though you're running on low, give yourself the opportunity to revive, and use that new sense of life to energise and inspire your students! If you are a yoga teacher IN NEED of A yoga Retreat, CLICK HERE for details for a Yoga Retreat for Teacher happening from 25-28 October 2018 in Overberg, Cape Town.